There’s nothing worse than working on a project only to have your machinery breakdown. Not only will the downtime affect your profits, but also your project timeline. This can lead to unhappy customers and stressed out workers. If your machine breaks down onsite or on-route to a job, make sure you call a professional machinery owing service. Machinery is expensive and heavy, so you need to choose a towing company that knows how to handle and transport heavy vehicles. At South Brisbane Towing Services, we know how important your machinery is to your business and profession. That’s why we take the greatest care with every machine to ensure its loaded, transported and delivered safely and securely.We have experience handling all kinds of heavy machinery, so you can rest assured your vehicle will arrive in the same condition in which it was loaded. Whether you need to get your machine into the shop or back to your yard, we’ll get you to where you need to go.We’ll make every tow job a priority, so we can get you back on track as soon as possible. We can tow small excavators, forklifts, light trucks, trailers, tractors and other heavy machinery. You name it, we’ve towed it! If you’re not sure whether your machinery will fit, just give us the machine type and measurements when you call, and we’ll see what we can do for you. 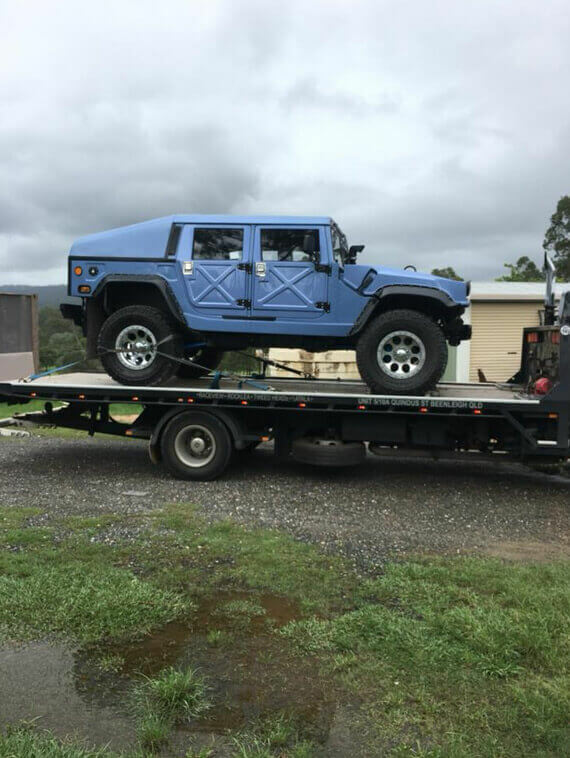 South Brisbane Towing Services have the equipment and expertise to tow your machinery anywhere in the greater Logan area. Whether your machine has broken down or needs transporting for servicing or repairs, our professional machinery towing can help. Our services are 24-hour, so whether you trade during the day or night, we can come to you. 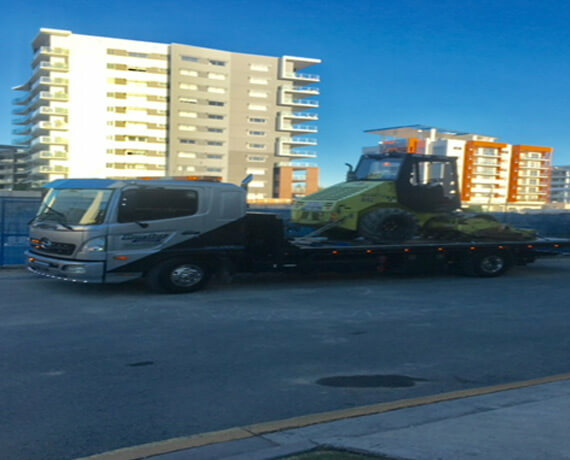 So,if you live in Logan or South Brisbane and your machine needs towing, give us a call.